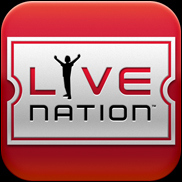 DUBAI MEDIA CITY (CelebrityAccess MediaWire) — Live Nation Entertainment is expanding their operations in the Middle East with the opening of Ticketmaster in the United Arab Emirates. The company will initially focus on operations in the UAE, but plans to expand to other countries in both the Middle East and North Africa. The new operation will be helmed by David Grisham, formerly with Ticketmaster in Canada and will be headquartered in Dubai Media City, the purpose-built entertainment district and tax free zone built by the government in Dubai. Alan Ridgeway, Live Nation President of International and Emerging Markets, said: "We have been operating our concert business in the Middle East for five years and in that time have seen a significant increase in the number of concerts and sporting events taking place in the UAE and elsewhere in the region. I am pleased that we are now in a position to offer event organisers and ticket buyers in the region the level of service that they have grown accustomed to in our other markets around the globe."